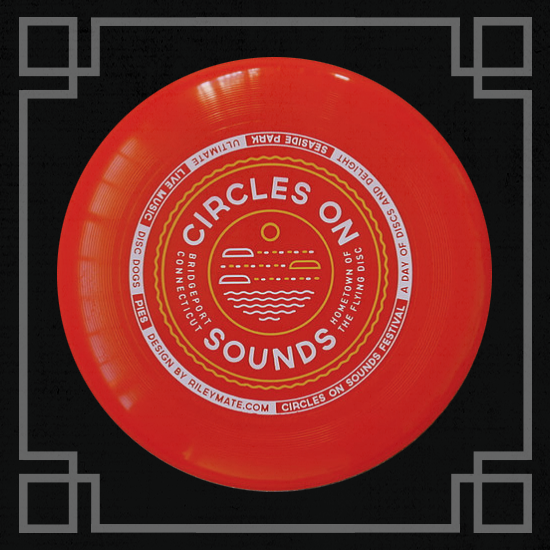 This Discraft Ultra Star 175 Gram Ultimate Frisbee is imprinted with our Circles On Sounds logo design. Price includes shipping to anywhere in continental US. © 2018 Frisbie Pies. Website design by American View Productions.